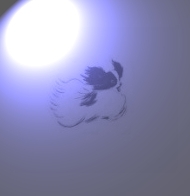 Other Interesting Links - Andre sp�ndende links! What a nice surprise! 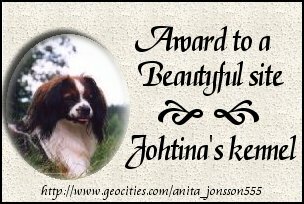 A really cute award from Tanya & the Summerlily Girls in Canada. 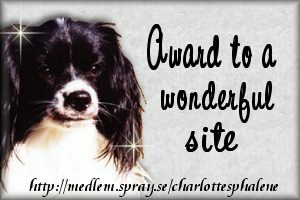 A beautiful award from Charlotte Ros�n in Sweden - thank you, Charlotte! Thanks a lot, Anita, for this nice award. It makes us very pleased to receive it. Thank you Monica, we are honoured to receive this beautiful award! to receive this new award! Thank you Lily and Elina!